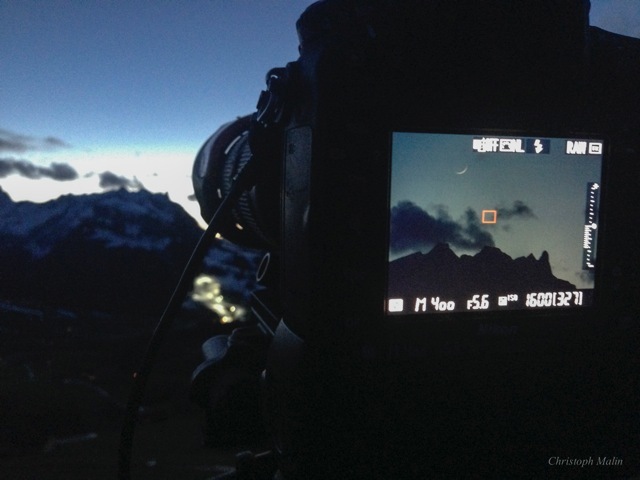 Explanation: A crescent Venus shines along the western horizon at dusk in this clearing sky. The Earth's sister planet is smiling between the low clouds near the bottom of the frame during its January 2nd conjunction with the slender, young crescent Moon above. 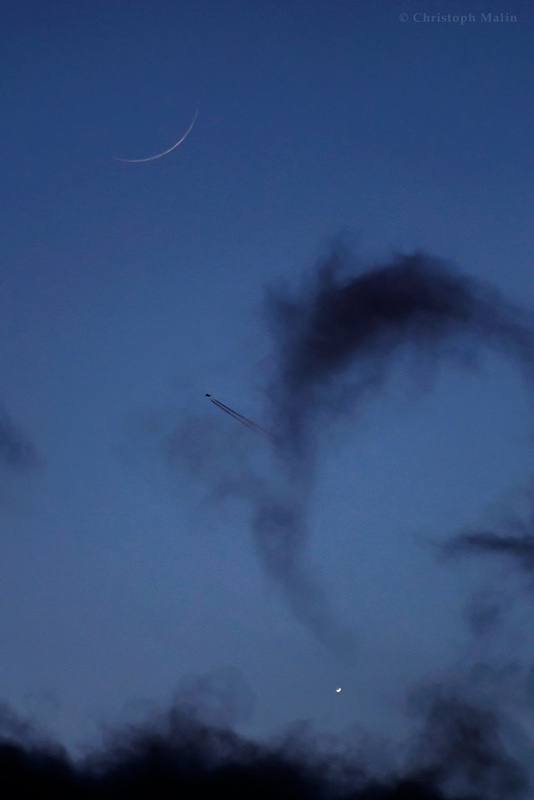 Of course the lovely pairing of Moon and Venus crescents could be enjoyed in the new year's skies around the the world. But the twin contrails in this scene belong to an aircraft above Appenzell, Switzerland. Soon to disappear from evening skies, Venus is heading toward its January 11th inferior conjunction and an appearance in predawn skies as planet Earth's morning star by late January. And the Moon will be young again, too.